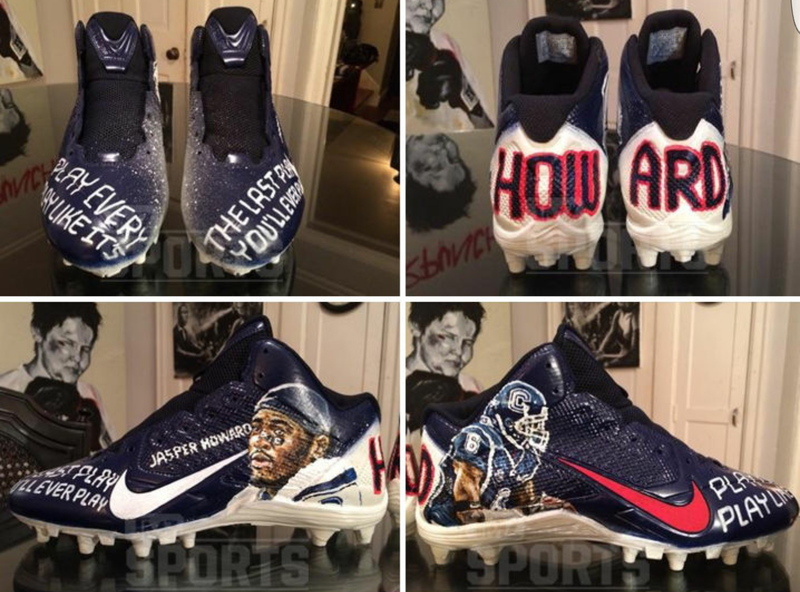 Pittsburgh Steelers receiver Antonio Brown will be wearing cleats in today’s game with images of UCONN Huskies former star cornerback Jasper Howard. 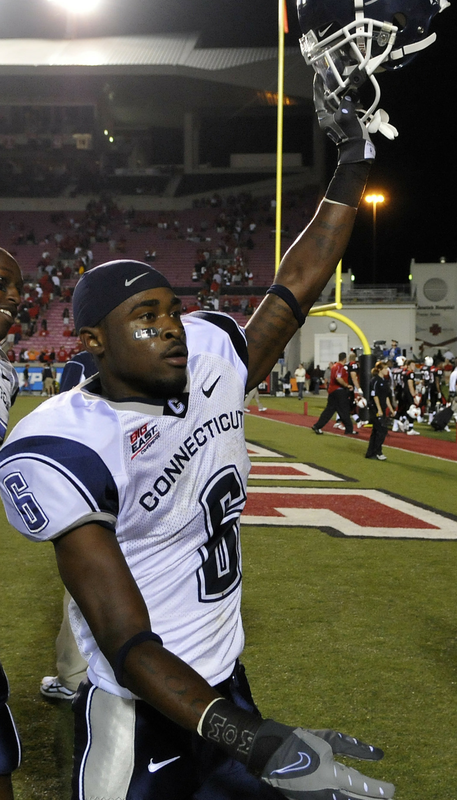 Howard was stabbed to death in October 2009 at the UCONN campus in a fight. According to reports, there was an altercation at a party at the student union after the fire alarm was pulled. Howard was stabbed once in the abdomen and another UCONN football player, Brian Parker, was stabbed in the back but survived. Three men, non-students, were arrested, one being charged with Howard’s murder. Earlier on that day of his murder, Howard and the Huskies beat Louisville 38 to 25 and Howard had 11 tackles, 1 forced fumble and 1 fumble recovery. His girlfriend Daneisha was pregnant at the time of his death. She gave birth to a baby girl in 2010. Howard’s family also sued UCONN for lack of security. Both Brown and Howard grew up in the same neighborhood in Miami.